In acute experiments on dogs thoracotomy was performed and atrial flutter and fibrillation induced. The threshold levels of current, energy, and charge required to abolish these arrhythmias were determined in the case of direct application of a monopolar square pulse ranging in duration from 1 to 15 msec were determined. The values of the current and energy defibrillating the atria when the electrodes were applied directly to them were minimal if the duration of the pulse was 8 msec: 113±13.7 mA and 10.4±2.6 mW·sec, respectively, to abolish flutter and 275±18.2 mA and 62.3±9.0 mW·sec to abolish fibrillation. The strength of the current restoring the nomotopic rhythm by direct strial defibrilation was only one-fiftieth of the strength of the current previously established for transthoracic atrial defibrillation in dogs. The effectiveness of direct atrial defibrilation under experimental conditions points to the need for development of an adequate method for its clinical application. Laboratory of Experimental Cardiology, P. K. Anokhin Institute of Normal Physiology, Academy of Medical Sciences of the USSR, Moscow. 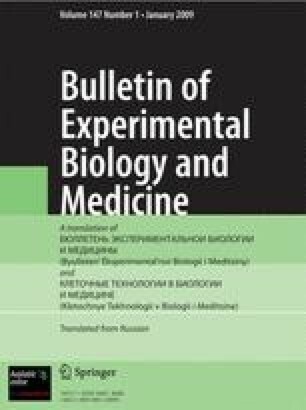 (Presented by Academician of the Academy of Medical Sciences of the USSR A. M. Chernukh.) Translated from Byulleten' Éksperimental'noi Biologii i Meditsiny, Vol. 85, No. 4, pp. 397–400, April, 1978.